What percentage of site visits are do something? or do nothing? No action at all = fear = bounce = wasted money. Look For: Opportunities to improve your trust, initial clarity, quality of traffic, landing pages. What percentage of site visits are getting into a potion to evaluate offerings? Look For: Opportunities related to navigation, on site search, site performance and prospect quality. Upon evaluating your offers, what percentage of visits are indicating heightened interest by taking the next step? Look for: opportunities related to pricing, benefit communication, product merchandising and strategic positioning. 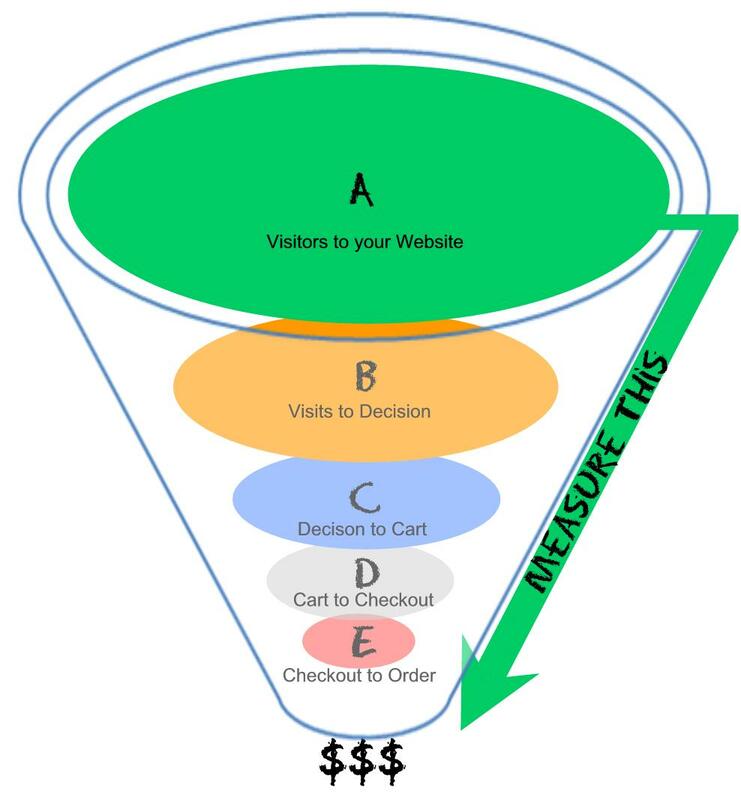 What percentage of visits starting your checkout process are actually completing the order? Look for: issues related to member registration, form usability, payment and shipping options and process complexity. Not sure where to begin? have no time? Contact Us about providing some help.